There are several key differences that makes Cypress special. Not like a lot of other UI Testing frameworks, Cypress is not built based on Selenium. It runs all the test cases in the same run loop as the application. 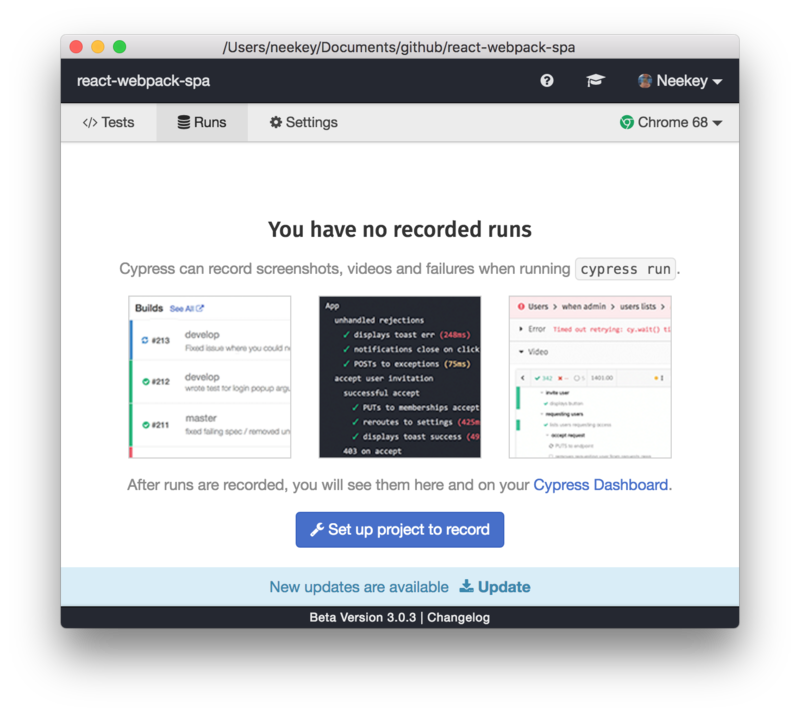 It also has a Node.js server process running outside of the browser, which communicate with the Cypress tasks running in the browser, helps it to perform tasks that requires a higher privilege, for example, tasking screenshots, recording videos. Since Cypress tests run within the browser, it has access to all the native objects like window, document, a DOM element or anything else. By saying it is native access, it’s because all these accessed object are the actually reference, no object serialization or over-the-wire protocol involved. 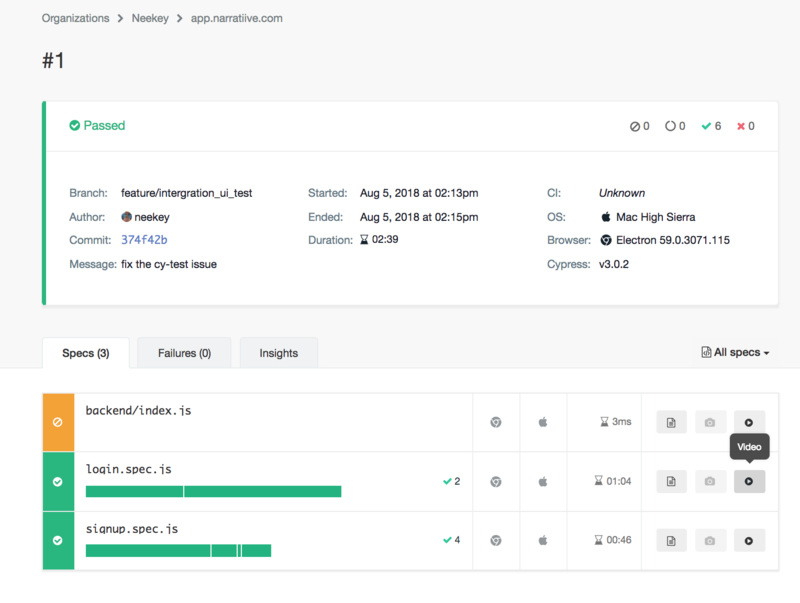 A rich UI visually shows you the command execution, assertation, network requests, spies, stubs, page loads or URL changes. Cypress takes snapshots of each steps of your test cases. 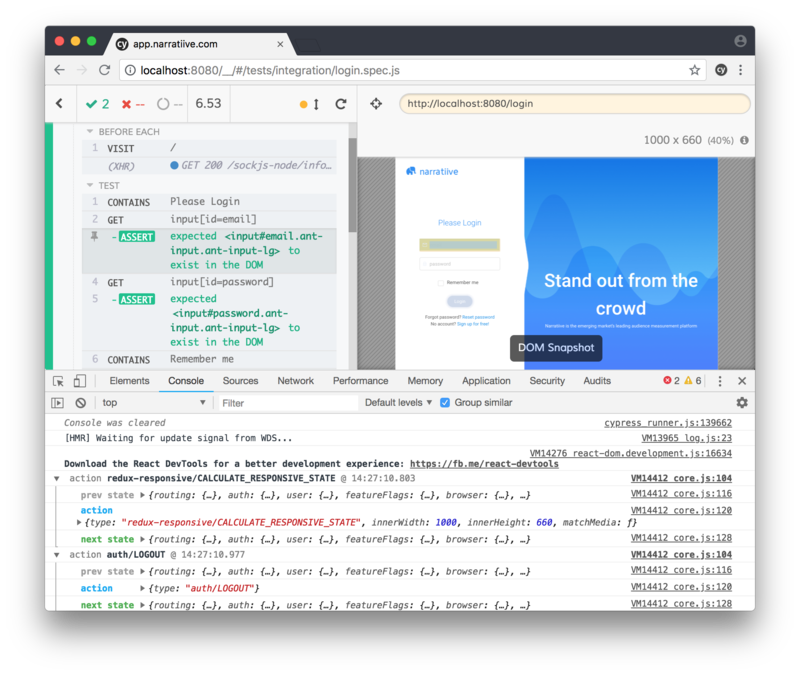 DevTools available and you can even use debugger statement in your test cases. Close the modal and you shall be able to click any of the test spec listed in the list to run all just hit the button “Run all specs” to give it a try. The test case is very simple and straightforward, it opens the local web page, and then check if the route automatically update to /home and then check if the correct copy is one the page. 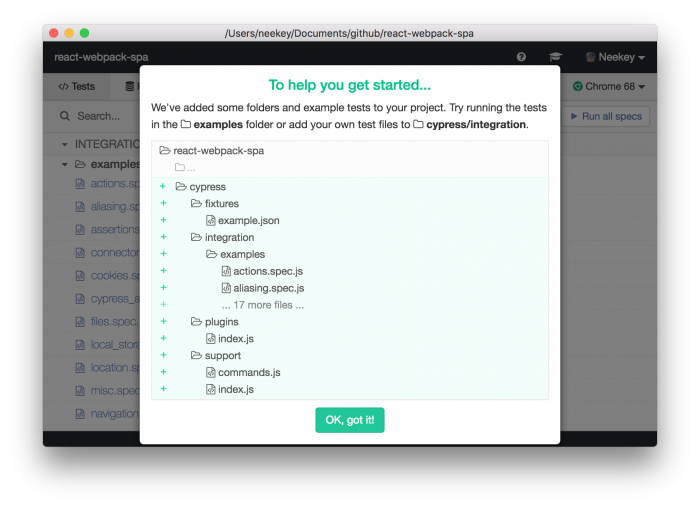 You can check Cypress API to get more information about how to use the API. You can see how after the test finished I could still be able to go through each step and see the page back at that moment. Even though we only want to focus on the UI testing, to drive most web applications, a backend server is needed to serve data APIs. Using a real server means all the request from your application will really hits the server, it will guarantee that your server works correctly with your front end. The downside of this approach is that you need to set up real backend data specifically for your test cases and it will be difficult or trivial to cover edge cases. Since the whole logic of the request is real in your backend, it also means it will be very slow if complicated process is involved. Instead of providing a real backend service, this approach will just stub the backend API, which is quite easy in Cypress with the route API. Since it’s all fake, you can return what ever data you need for your test cases, making the preparation of data much easier, and since it’s fake, the response can be very fast. The drawback about this approach is that it’s not real backend, so it can only assume the backend returns certain response, it can’t guarantee that it works in production. Cypress can work with both of the approaches, but you need to understand your requirements to make a decision. The higher the reliability your application requires the more effort you will need to take to test your app against the real environment. This can be a big topic and from my perspective, the ultimate approach should be using both of the approaches. So that the front end can use the mocked backed in development without relying on the backend and easily test all the edge cases, at the same time tests against the real backend will make sure the real backend behaves the same way the front end expects. Technically it should be quite doable to reuse all the test cases from both side. Apart from my opinion about the best practice, we will only focus on how to mock the backend in this article. 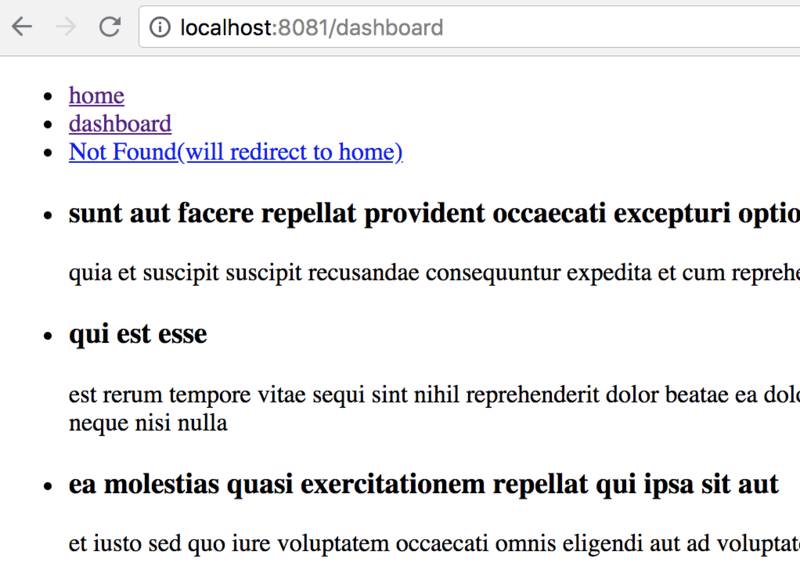 Basically it load posts from https://jsonplaceholder.typicode.com/posts and render them as a list. It will also render the status of “loading”, “no data” and “error”. The page should render “error” if the loading fails. Now we want to test the rendering of the posts, it’s better we have the control of the response so that we know what to test. To stub a request, Cypress provides APIs cy.server() and cy.route(). cy.server() starts the stub and you use cy.route() to define which request you want to stub. Here we specify the url, method to match the request, and provide our mock data as response. From the screenshot you can see Cypress provides very detailed information about each step and the alias we give for the request has been highlighted. We can do quite the same for the case of no post, just set the response as . Quite amazing how easy it is to mock request, but currently there’s one issue with the stub feature, which is it is not able to stub window.fetch, that’s why in the example I used XHR to make request. You should see this issue to follow the process and solutions. 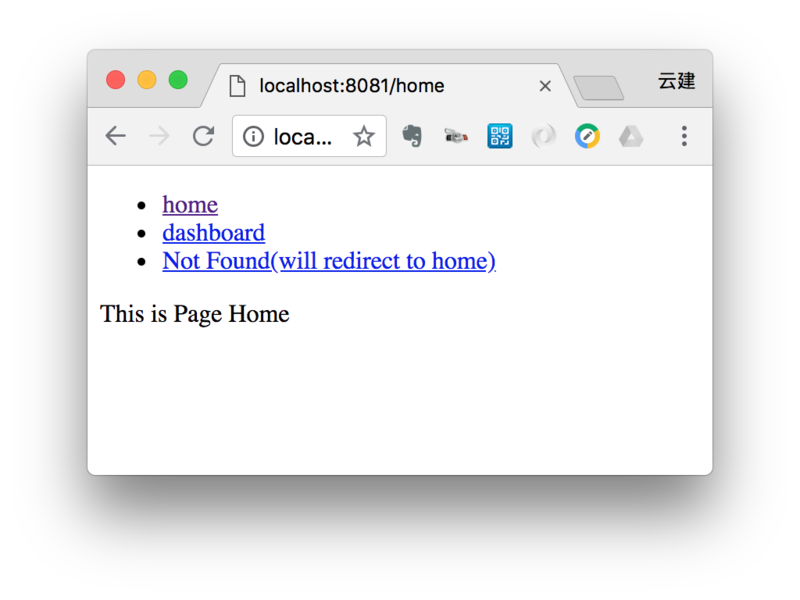 There’s one thing I didn’t mention, during the test running, we need to make sure that our local web server is on, so that it can server the web application on http://locahost:8081. So to make sure our cypress test cases run correctly, we need to start our server before we start the test. which seems right but since the server starting process involves webpack initialization and compilation, before the server start to serve in localhost, the Cypress test cases will already timeout of waiting for the localhost to response. 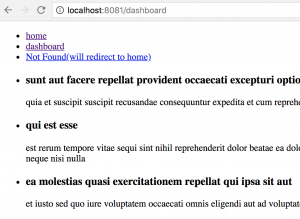 So this tool will execute the first command and wait for the response of the url provided, after the url is responsive, then it will execute the test command. 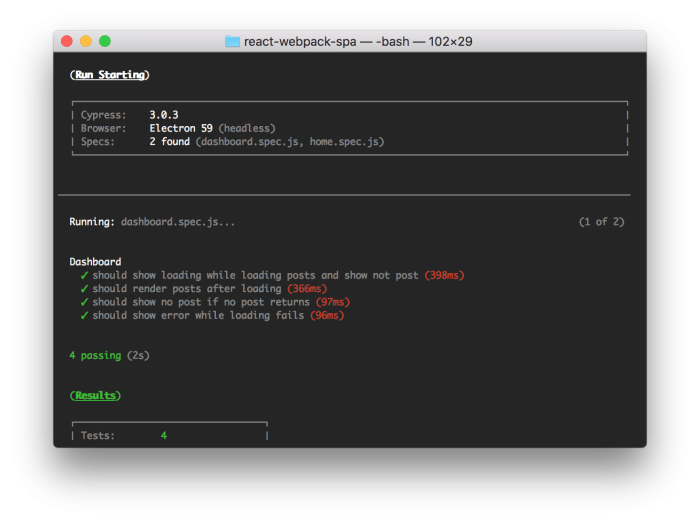 "cy-ci-test": "./node_modules/.bin/start-server-and-test dev http-get://localhost:8081 cy-test"
Now you can use npm run cy-ci-test to start the server and then run cypress test. notice we cached ~/.cache since that’s where Cypress intall the Cypress binary, it will not be saved to the node_modules in the application root. the number 8 is the nodejs version you want to use. Cypress provides a separate service called Cypress Dashboard, basically it’s a online platform that you can sent your cypress test results to cypress from whaterver CI system you are using, and you can see informations like screenshot and video about your test cases in Cypress Dashboard. 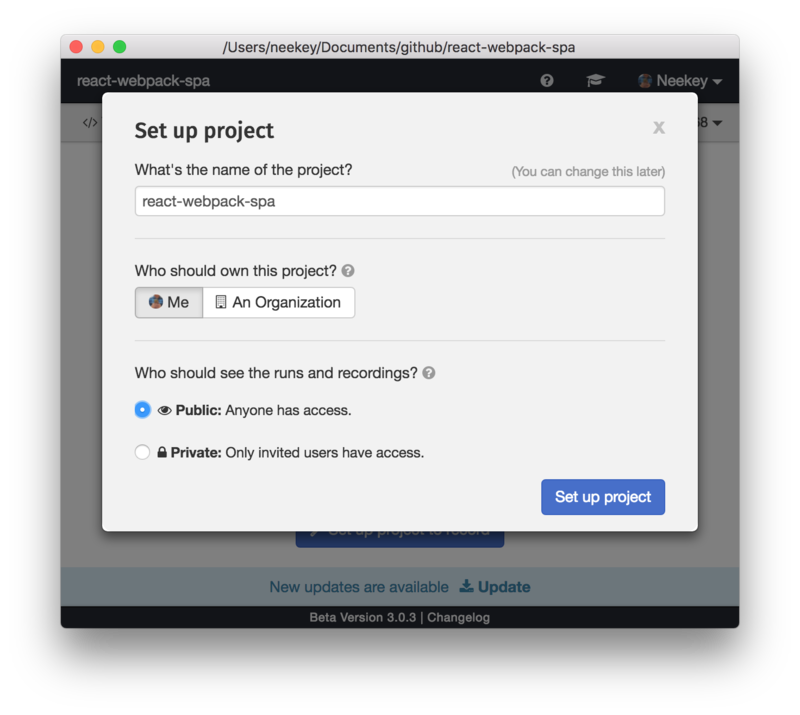 Fill in the form and hit “Set up project” and you will get a project id, which you can also find in the cypress.json in your project. Click any of the test, it will take you to the Cypress Dashboard website. 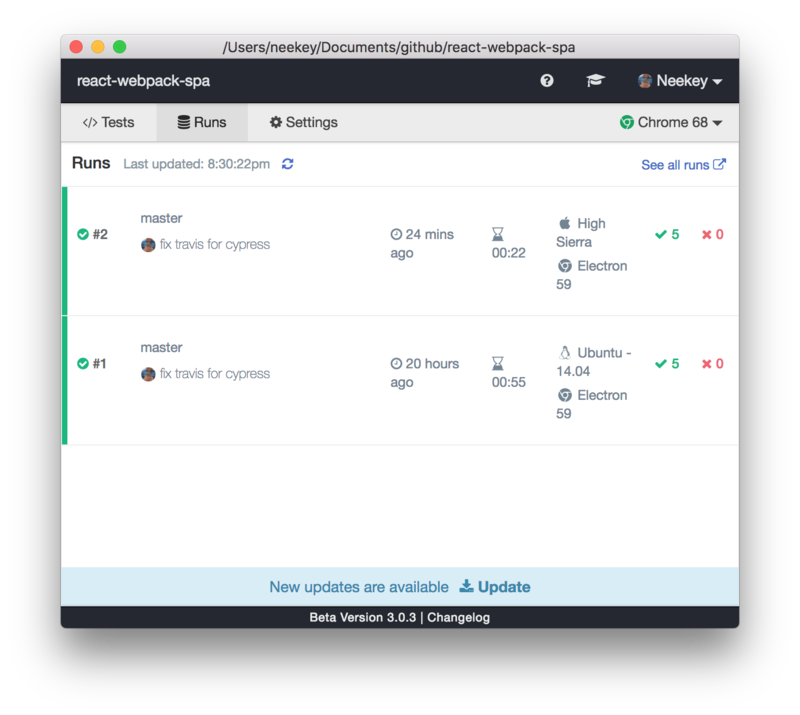 This article spent quite a lot words to talk about the features about Cypress, but you should find the setup, writing test cases and CI is very easy. Still there’s trade off for those advantages, you should take a look before use it in your project.